← I miss the Microsoft Exchange Conference (MEC)! Amongst the features deprecated (others would say “amputated”) from Exchange 2010 is support for the WebDAV (or just plain “DAV”) interface. Exchange 2000 was the first version to support WebDAV and at the time, it seemed that WebDAV would become the interface that programmers would use to access data in mailboxes, public folders, and the like. Alas, WebDAV has run its time and is no longer the flavour of the month, so you need to move to a new interface if you have programs or utilities that are based on WebDAV. Exchange Web Services (EWS) is the recommended replacement. You might guess from its name that PFDAVAdmin is based on DAV. This is a useful program that originally started as a utility called PFAdmin for administrators who wanted better management capabilities for public folders. PFDAVAdmin is replaced by the ExFolders program for Exchange 2010. 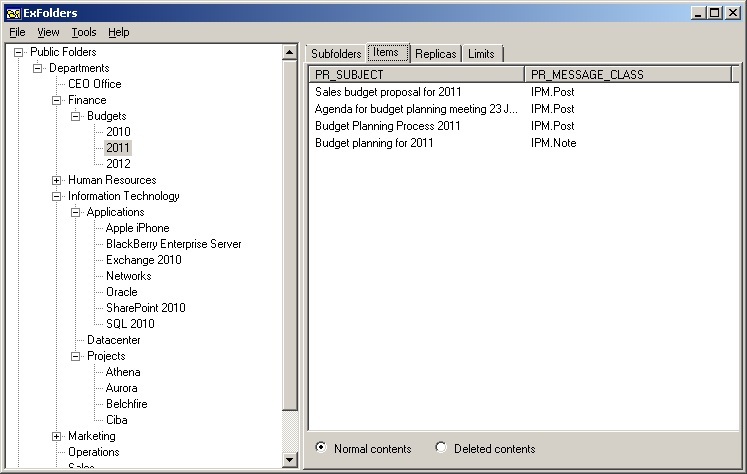 There are two versions, one for the RTM release of Exchange 2010 and one for Exchange 2010 SP1. 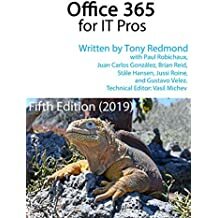 It’s obviously important that you use the correct version to connect to an Exchange 2010 (RTM or SP1) server as the schema changed between the two releases so the RTM version doesn’t understand how to connect to an Exchange 2010 SP1 server and vice versa. Interestingly, once you run ExFolders from an Exchange 2010 server, it can connect to an Exchange 2007 server. 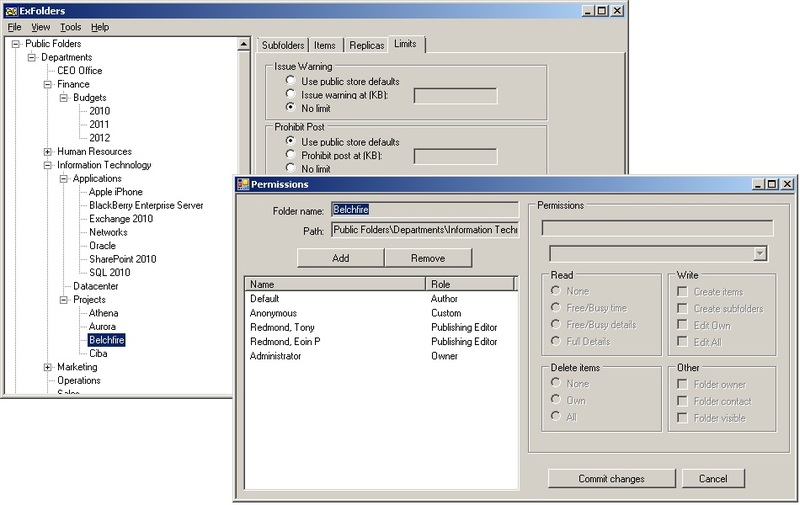 Administrators often resorted to PFDAVAdmin when they realized that the public folder administration console provided in Exchange (2007 or 2010) exhibited all the signs of an afterthought on Microsoft’s part; work that they really didn’t want to do because “who cares about public folders”… This criticism is less true in Exchange 2010 SP1 where Microsoft did some work to allow better control over public folder permissions through the console GUI, something I shall return to in a future post. Running ExFolders is simple. Download the correct image from Microsoft and place the executable in the Microsoft Exchange binaries folder and then invoke it. You’ll be asked to provide some administrator credentials and then identify whether you want to open the public folder hierarchy or a mailbox store. You also have to identify a domain controller that ExFolders can use to read the Exchange organization configuration. 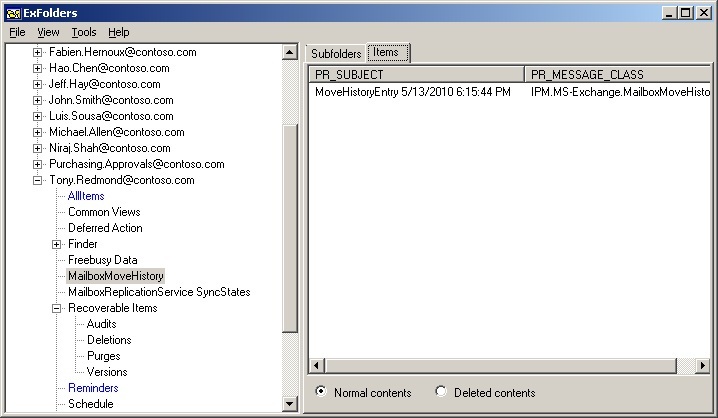 Once connected, you can navigate down through the public folders and update permissions as shown above, or can examine the items that are in a folder (below), but you can’t view the contents of the items as that has to be done with a client such as Outlook or OWA. Many interesting items can be discovered in mailboxes, such as the structure of the mailbox and the many hidden items that are stored in the mailbox root to be used for Exchange internal processing. You can see the two move reports that Exchange holds for a mailbox (see my post about mailbox move history for more information about this data). You can also see the dumpster folder structure (under Recoverable Items), the folders used for Reminders and Views, and the client-visible folder structure under “Top of Information Store”. Clearly there is lots more to explore in the ExFolders utility that can be covered in a short post. The best idea is to get a copy of the program and start to use it to find out just how ExFolders can add real value to your deployment. Recommended! If you’re interested in learning more about how to manage Exchange 2010 effectively, why not come along to the Exchange 2010 maestro training sessions, or just get a copy of my Microsoft Exchange Server 2010 Inside Out book. This entry was posted in Exchange, Exchange 2010 and tagged Exchange 2010, Exchange 2010 SP1, Exchange Web Services, ExFolders, PFDAVAdmin, WebDAV. Bookmark the permalink.